Precision’s experienced technicians use only the best technology and equipment, and the company only ever works with trusted partners and suppliers. Each product you receive will be accompanied with a certificate of compliance, which also guarantees that it is 100% New Zealand-made. *From the date of original invoice. 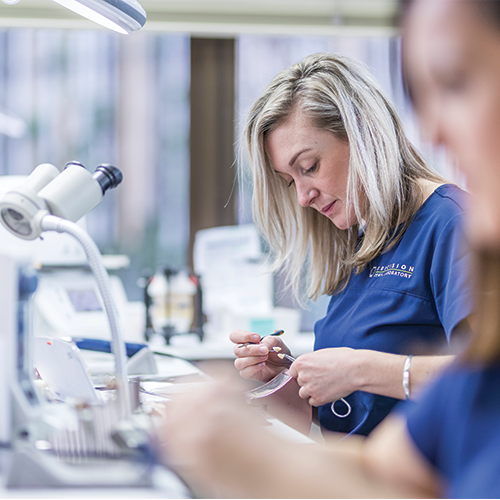 At Precision, we are driven by a passion to deliver a customised crown, bridge or implant that looks as natural as possible, at the most competitive prices. Our locally based technicians work in a consultative manner with you to ensure we achieve the results you and your patients require. Subscribe today to receive the latest Precision Dental news via email. You may unsubscribe from this service at any time. © Precision Dental 2019. All Rights Reserved.